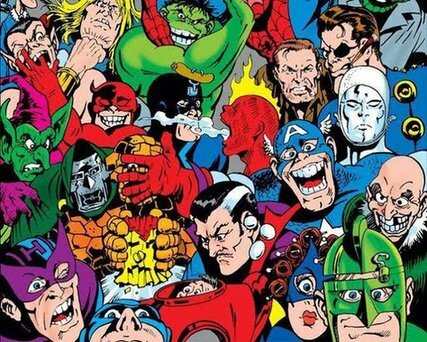 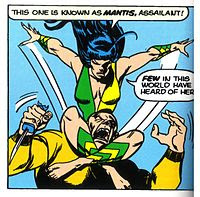 'Mantis' debuted in Marvel Comics' "The Avengers" #112 (June 1973), created by writer Steve Englehart and illustrator Don Heck. 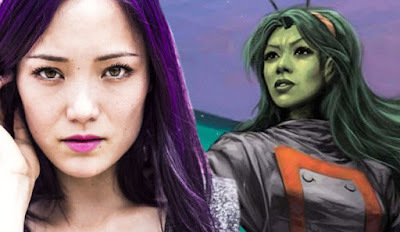 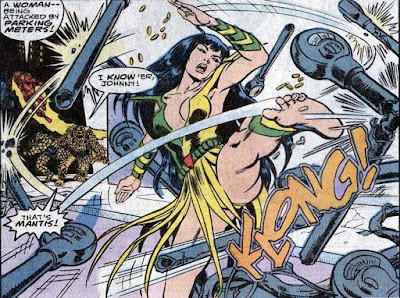 Mantis is the half-Vietnamese, half-German daughter of 'Gustav Brandt—Libra'. 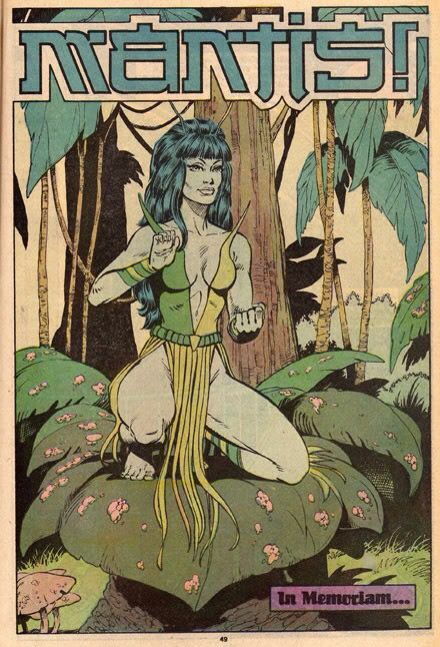 In her childhood, her father left her @ the Temple of the alien 'Priests of Pama', a sect of the alien 'Kree'. The Kree believe she might become the 'Celestial Madonna' and mate with the eldest 'Cotati' on Earth to become the mother of the 'Celestial Messiah'. She excels in her martial arts studies, but when she reaches adulthood, she is 'mind-wiped' and sent into the world, becoming a prostitute and barmaid in a Vietnamese bar, where she meets the 'Swordsman'. 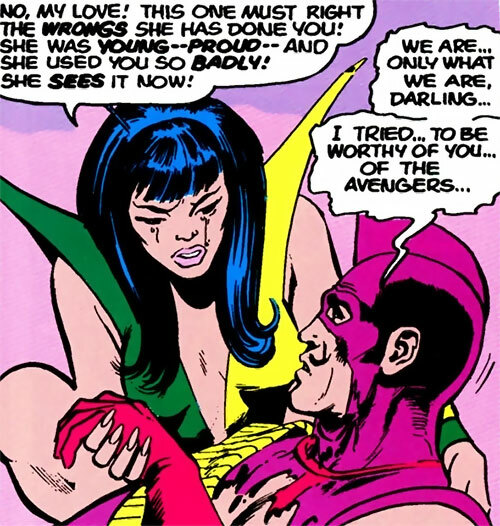 She helps him regain his self-respect and follows him when the former villain attempts to rejoin the Avengers. 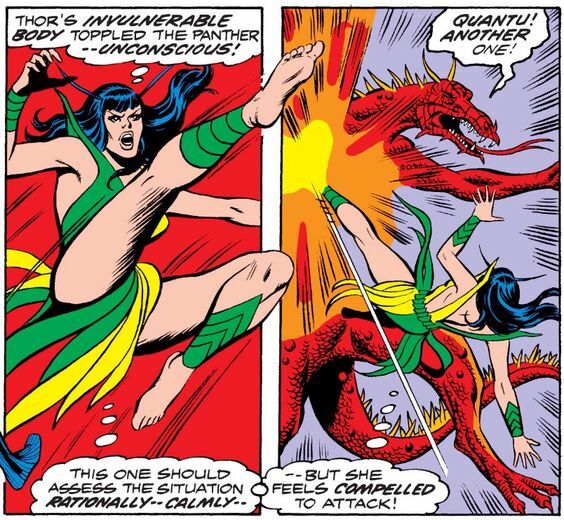 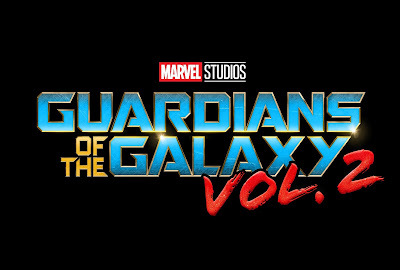 Mantis later rescues 'Peter Quill' from a group of pursuing 'Spartax' soldiers. 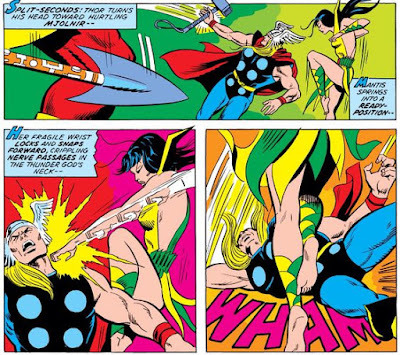 Though she refuses to join his new incarnation of the 'Guardians'. 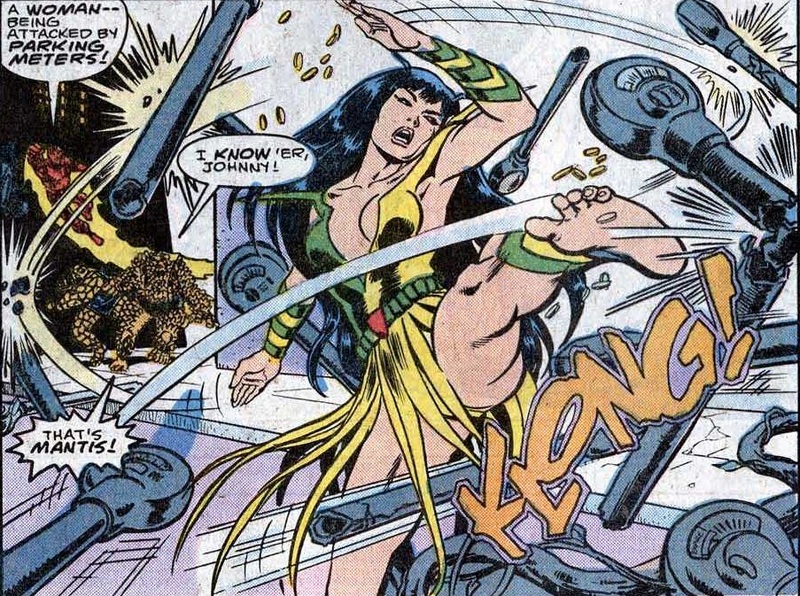 She has attained a mastery of meditational disciplines giving her an unusual amount of control over her body, including autonomic functions like heartbeat, bleeding, and breathing, as well as an awareness of pain, allowing her to more quickly heal injuries through sheer force of will, and affording almost superhuman reflexes and reactions. 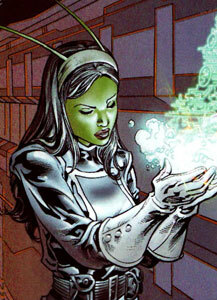 She also has psychic empathy, a telepathic power that allowed her to sense the emotions of others.